Nothing lasts forever, but some things come very close. Land Rover’s Defender reigned over hill and dale for 67 years, with production finally ending in Solihull in 2016. The Defender – known by that name since 1983 –defeated fashion while somehow epitomising it and becoming synonymous with the nation that created it. Two million were built since 1948, when the Series 1 arrived, utilising a post-war surplus of aluminium. It’s amazing to think that an estimated 75 per cent of Landies ever built are still running somewhere on the planet. A winch is the first accessory any self-respecting Landy owner should fit. 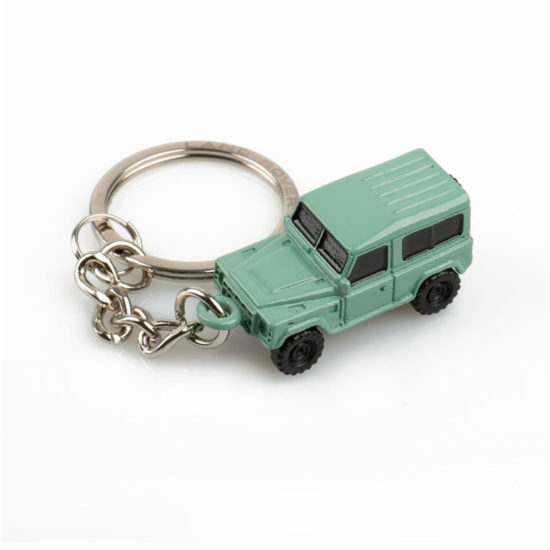 It’s only right that a perfectly formed miniature die cast defender hangs from its keychain ready to go. The keyring comes in a range of traditional Land Rover colours along with bright orange; choosing which colour is a tricky one. Unlike a normal car, a Defender has a second gear lever to select hi or lo diff depending on the terrain. 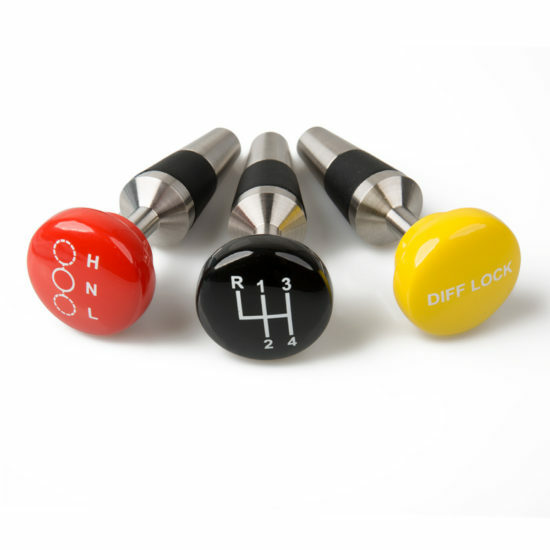 We’ve gone one better, offering the driver three gear knob bottle stoppers to select from to keep the wine fresh. Defenders have come in endless variants for different uses – long or short wheelbase, pick ups, hard tops, rally, safari, military – you name it, they’ve made it. 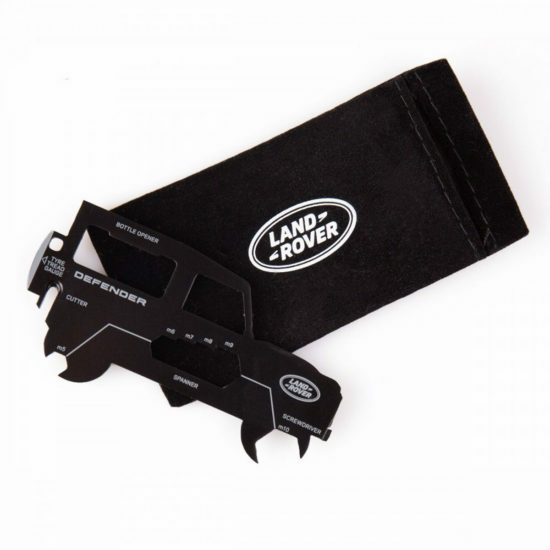 This credit card sized multi tool has a range of handy functions designed to get you out of a fix… just like the real thing then. 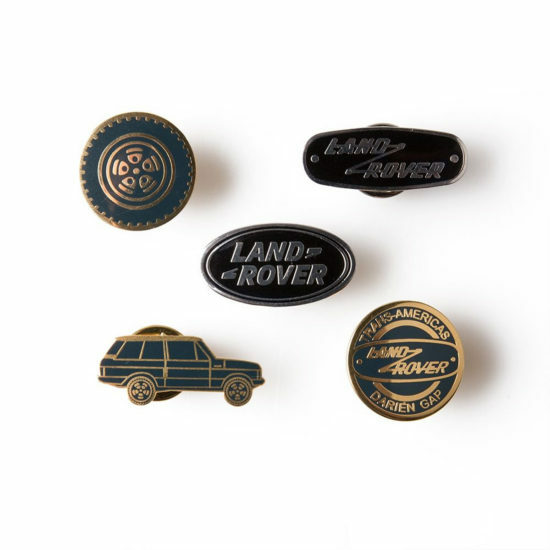 There can be few car manufacturers with greater brand loyalty than Land Rover. Pin badges are a popular accessory for enthusiasts to show their allegiance; they are inexpensive, smart and collectable. 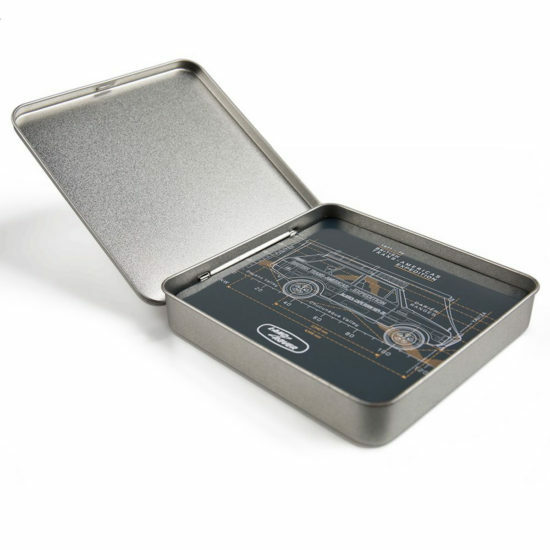 These are beautifully made and come as a set of five presented in a retro style tin. This set of four solid metal coasters comes gift packed in a rugged raw metal tin. Each coaster is printed with a classic Land Rover icon guaranteed to enhance any coffee table or bar. No ordinary calendar, this one is in the form of a magnetic metal plate featuring a Range Rover line art. 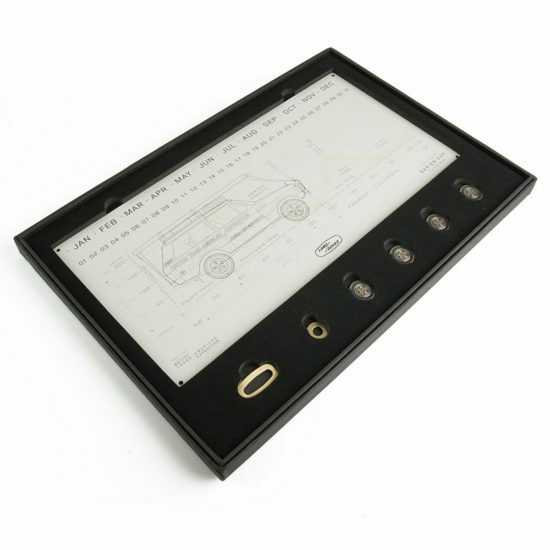 Months and days are highlighted using the smart die cast metal accessories. The plate can be mounted on the wall and will be good for years of service.